St Louis Limo Rentals is conscious of how much hard work goes into making a wedding an absolutely memorable day. We want to be there for you and help you arrange the best St Louis wedding limo transportation in STL. Our company truly understands the costs that are associated with getting married and we make it our goal to create a customized wedding limo rental package for you, your loved one and all of your family and friends. Whether you are trying to schedule a wedding limos St Louis MO shuttle service or a private and romantic limousine to carry the bride and groom away to their honeymoon, we will be there for you. Our clients have always appreciated the elegant and calming wedding transportation services that we provide. With highly trained and professional chauffeurs we sustain a level of service and commitment in getting you and your loved ones to and from the ceremony, reception and after party. We give all of our clients the option to have their wedding limo or party bus decorated with flowers, “just married” signs, and ribbons. If you have any inquiries or special requests you can contact us via the form on this page or give us a call! Your special day will require a lot of planning, organizing and all around had work. ​You will need to book a venue, find a caterer and a band, choose decorations and the deserts, pick and purchases the dress along with many other responsibilities. You have a lot on your plate and don’t need to let organizing transportation get in your way. Our team will coordinate having all of your family and friends picked up and dropped off on time and in style. 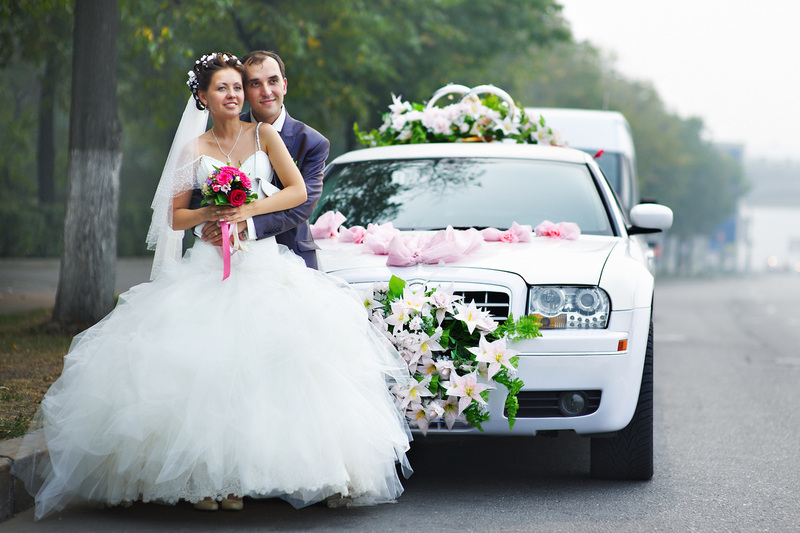 Wedding transportation does not have to be a night mare; we can help you make it simple and convenient. Our company provides affordable wedding and night out on the town transportation St Louis, MO and the surrounding area for every happy couple! Don’t let the price hold you back from an elegant entrance; you would be surprised of the wedding limo deals that we have. Complete the free quote form on this page and be one click closer to your fairy tale wedding.